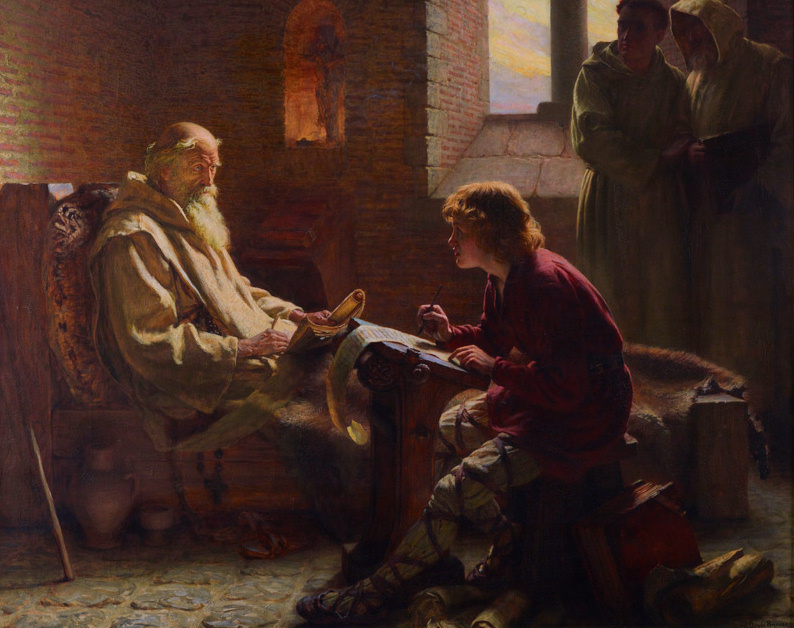 May 25 – St Bede the Venerable, (673-735 AD), Doctor of the Church, Father of English History | ADULT CATECHESIS & CHRISTIAN RELIGIOUS LITERACY IN THE ROMAN CATHOLIC TRADITION: hosting ONLY True Christians!! !, or "How to think Catholic!!" He was known as the most learned man of his day, and his writings started the idea of dating this era from the incarnation of Christ. 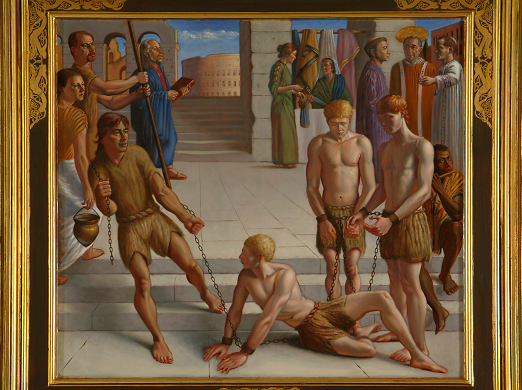 The central theme of Bede’s “Historia ecclesiastica gentis Anglorum (The Ecclesiastical History of the English People)” is of the Church using the power of its spiritual, doctrinal, and cultural unity to stamp out violence and barbarism. 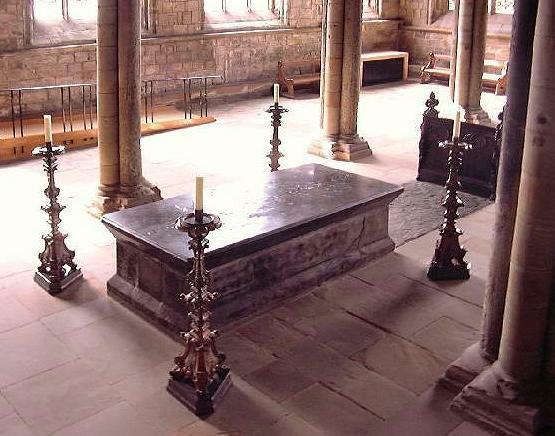 Our knowledge of England before the 8th century is mainly the result of Bede’s writing. It was as a teacher that Bede was supreme. He had no interest in speculation and no desire to be original; his genius was that of one who, with infinite pains, educates himself and transmits not only what he has learned but a deep sense of the value of such knowledge. 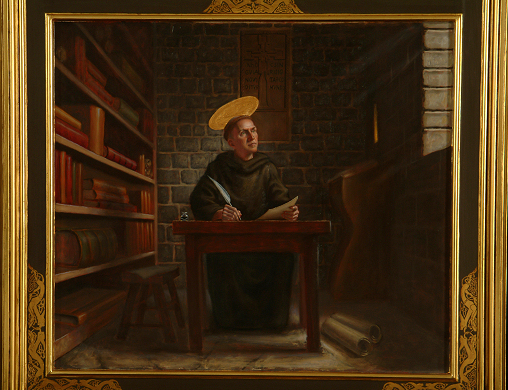 Of his oral teaching–to which he attached great importance–of course we cannot speak, but his books became standard works of reference in his own lifetime. His carefulness and sobriety of approach, his pains to be accurate, his obvious orthodoxy, gave to them a unique authority. 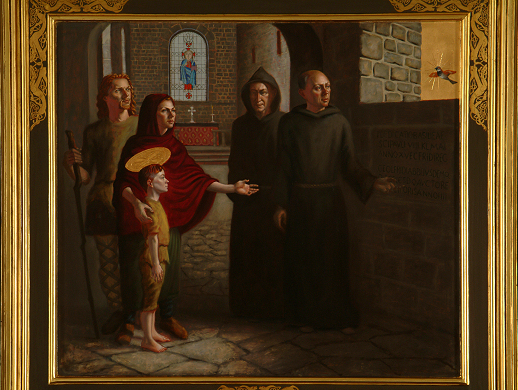 Bede’s works fall into three well-defined classes. His theological writings consist mainly of a teacher’s commentaries on the Bible, based very largely on the western Fathers and written for the most part in the allegorical manner of Christian tradition. Bede used his knowledge of Greek and displayed what we may think was an innocent vanity in making the most of such Hebrew as he had learned. Yet, despite the lack of originality in his approach, the commentaries of Bede remain even today one of the best means to arrive at the thought of the early Fathers. His scientific writings consist partly of traditional explanations of natural phenomena, in which the poetic approach of St. Ambrose is sometimes reflected, and partly of treatises on the calendar and the calculation of Easter–a matter of moment, as the Paschal controversy between Saxons and Celts had by no means entirely died down. It was Bede’s popularization of the method of calculating calendar years from the supposed date of our Lord’s birth which more than anything else ensured its universal acceptance in western Christendom. At the time Bede wrote the Historia Ecclesiastica, there were two common ways of referring to dates. One was to use indictions, which were 15-year cycles, counting from 312 AD. There were three different varieties of indiction, each starting on a different day of the year. The other approach was to use regnal years—the reigning Roman emperor, for example, or the ruler of whichever kingdom was under discussion. This meant that in discussing conflicts between kingdoms, the date would have to be given in the regnal years of all the kings involved. Bede used both these approaches on occasion, but adopted a third method as his main approach to dating: the anno domini method invented by Dionysius Exiguus. Although Bede did not invent this method, his adoption of it, and his promulgation of it in De Temporum Ratione, his work on chronology, is the main reason why it is now so widely used. His death was as sober and undeterred as was his life. In the early summer of 735, when he was sixty-three, his health began to fail, and he suffered much from asthma. He was, however, at work until the very end. On the Tuesday before Ascension Day he summoned the priests of the monastery, made them little gifts of pepper and incense and begged their prayers. 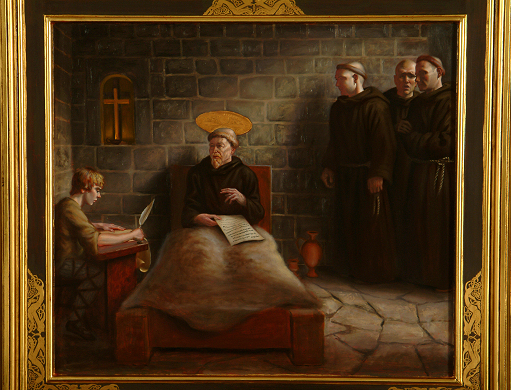 At intervals during the next forty-eight hours, propped up in bed, he dictated to the very last sentence an English rendering of the Gospel of St. John upon which he was engaged at the onset of his illness. Finally, asking to be laid on the floor, he sang the anthem ‘O King of Glory’ from the Office of Ascension Day and so died. It was May 27th, 735.